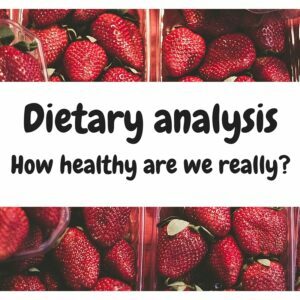 When we think we are being healthy - are we really being healthy? 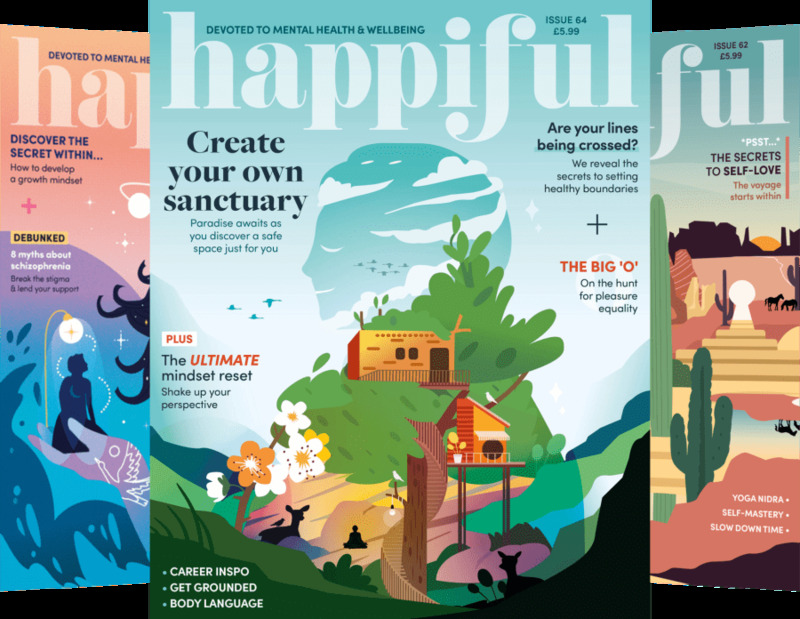 We want to learn whether we really are eating that well, or if our opinions on healthy eating are slightly misunderstood. To find this out, NR team member Ellen sent a two-day food diary to dietitian and Nutritionist Resource member, Katherine Kimber. While the analysis was only for two days of recorded eating, it was an overview of Ellen’s general, weekly diet. Katherine has analysed the two-day diary, taking to account Ellen’s height, weight, age, gender and activity levels. 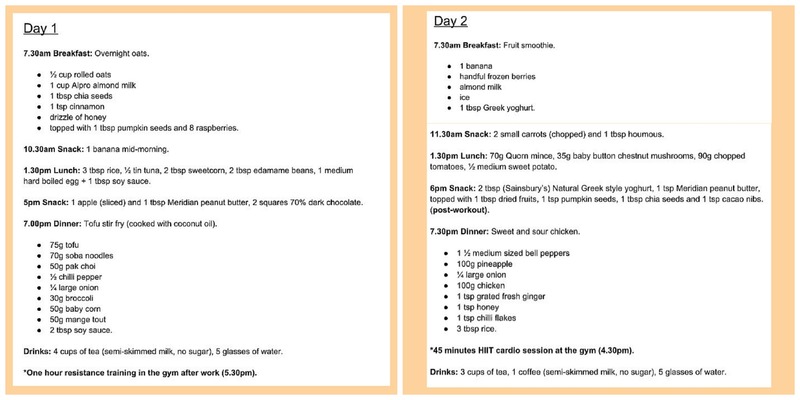 I have analysed the two-day food diary and compared to UK recommended limits on nutrients. This diary is certainly meeting the 5-a-day fruit and vegetable recommendation and having a variety of foods on these two days meeting nearly all her nutrient requirements. It is good to see three meals per day with snacks in between, ensuring they are fuelled pre and post workout. The percentage of macronutrients relative to the two days’ intake meets the recommended 50% carbohydrate, 20% protein and 30% fat, however the overall calorie intake is lower than the recommended for someone of this age, weight and activity levels. These recommendations only apply to the two days of recorded eating provided, but may vary if other days of the week (i.e. weekend) were recorded. Protein (82g) – target 51-89g/day (mainly from chicken, tofu, tuna, yoghurt, quorn mince and starch products – rice and noodles). Fluid (3000mls) – target 1790-2680mls/day. Fibre (33g) – target 30g/day (mainly from seeds, noodles, veg, oats, quorn). Polyunsaturated fats (12.2g) – target>6.5g, <5g/day (mainly from peanut butter, seeds, almond milk, oats). Omega 3 fats (2.3g) – target >0.5g/day. Omega 6 fats (9.9g) – target >2.5g. Saturated fats (11.3g) – target <25g (mainly from peanut butter, coconut oil, greek yoghurt, dark chocolate and cocoa nibs). Calcium (mainly from almond milk, milk in tea, yoghurt, and chia seeds). Zinc (mainly from quorn mince, pumpkin seeds, tofu, oats). Vitamin A (mainly from carrots, sweet potato, red peppers). B vitamins (mainly from tuna, almond milk, eggs, noodles, chicken, edamame beans, peanut butter). Vitamin C (mainly from pepper, sweet potato, broccoli, mange tout). Calories (1500kcals/day) – If this were to be maintained every day of the week, I would expect to see a weight reduction of around 2lbs/week or 1kg). As this is only a snapshot of two days, it may not be representative of all other days. It may also be that the diet has been under reported which is very common in the world of weight management. It is also important to remember that the suggested target of 2230kcals/day for this client’s weight, age and activity levels, may not be entirely correct and the best way of judging calorie intake is to monitor weight. Carbohydrates (196g) – Target 300g/day (ensuring you have plenty of starchy, wholegrain carbohydrates (brown rice, wholegrain bread, brown pasta, oats) is important to keep your energy levels up, and may also reduce sugar cravings later in the day. This is a food group that people often avoid. Carbohydrates contain the same amount of calories per gram of protein (3.75g/kcal) – it’s what you add to the carbohydrate that makes it calorific! (e.g. cheese, butter, cream). Adding some more healthy starches would be a good way to boost calorie intake. Fat (49g) – Target 50-87g – this diet is on the limit of not having enough. Don’t be afraid of using a little olive oil in your cooking for some added healthy fats! Fats are important for absorbing fat soluble vitamins (A,D,E and K). Sugars (76g) – Target <66g – this diet has actually exceeded the daily recommendation of sugar mainly from fruit. Try and stick to two portions of fruit per day (80g fresh, or palm-sized amount of dried is a portion) to limit exceeding this. The amount of added sugar is very low. Mono unsaturated fats (12.8g) – Target 32-50g. These are important for improving the blood lipid profile. Good sources include avocado, olive oil, cashew nuts so incorporating some of these may be beneficial if not already on other days). Sodium – The level of sodium has been exceeded by the use of soya sauce. I have also included tuna tinned in brine, as I made an assumption! I may be wrong. Try and flavour foods with herbs and spices, lemon, vinegar etc and stay away from adding extra salt as it can raise blood pressure which is a risk factor for many diseases. Here is the two-day food diary. (Click to expand). Grumpy guts What is visceral fat? And how might it hinder your health?